Cyprus has reduced the investment threshold for its citizenship-by-investment program from €5 million to €2 million across its asset classes. 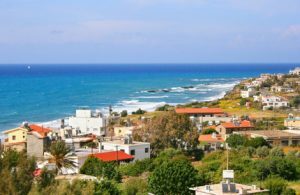 Foreigners can now access Cypriot citizenship for €2.5 million, given the added requirement of a €500,000 real estate purchase. The program has also been made more flexible, with investors able to combine all available categories and still pay only €2 million. The country’s prime location between Europe and the Middle East make it an extremely popular option for wealthy Arabs looking for a second citizenship. The volatility of the Middle East region means there is plenty of interest in having a backup option should problems arise. Candidates must have a clean criminal record and must hold a residence permit in Cyprus prior to filing their application. Cyprus recently began looking to Thailand as it aims to attract new customers for its permanent residency and citizenship-by-investment programs. Officials from the Mediterranean island have been engaging with their Thai counterparts in an attempt to boost relations between the two countries. Cyprus is attractive to Thailand because of its status as a European Union member. It is also one of few EU member states to offer a citizenship-by-investment option. The investor and his/her family become citizens of Cyprus and the European Union. The Cypriot passport allows for visa-free travel throughout the European Union and more than 140 nations including the most developed countries in the world. Investors can seek long-term residence in other European Union member countries without onerous residence requirements. Access to a relaxed and comfortable lifestyle with quality healthcare and educational facilities. Ability to retain dual citizenship and passport of second country along with Cypriot citizenship. Wealthy Lebanese nationals have also become key customers of the Cyprus investment immigration programs as they seek a safe haven from potential future conflict in their country. With Cyprus still in full recovery mode following the acute financial troubles of the 2008 economic crash, investment from Lebanese – and other Middle East nations – is most welcome.